Bly Wang is co-owner of Golden Triangle Salon and Spa. She is a managing esthetician, master manicurist and a permanent make-up artist. Be sure to try one of her fantastic facials. Have you thought of having long beautiful eyelashes and not putting on mascara everyday? Bly can add permanent eyelashes. Her reward is making everyone look and feel their best. 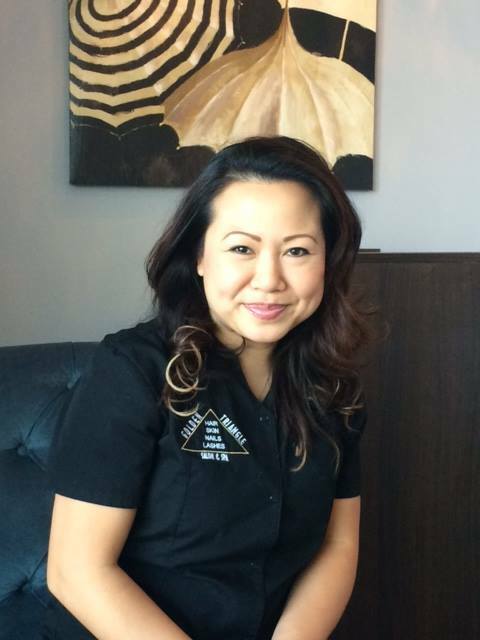 Minnie Souksavath is co-owner of Golden Triangle Salon and Day Spa. 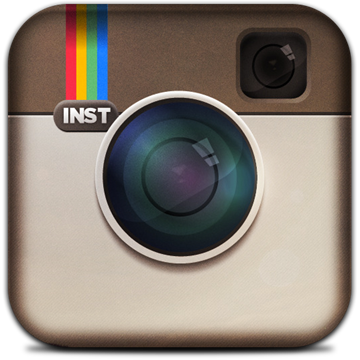 She is a managing cosmetologist with over 23 years of experience. Minnie specializes in Japanese Straight Perm and the latest trends in hair cutting for men, women and children. She loves making people feel great about themselves and is all about the details. Ms. Bettie is a managing cosmetologist. 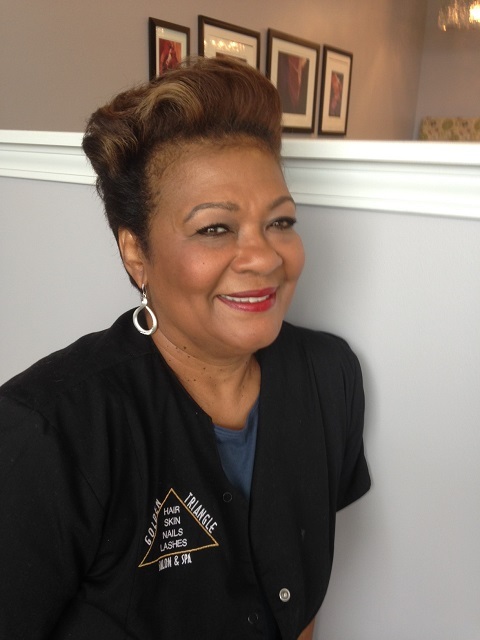 She has over 40 years of experience in the beauty industry and has an extensive skill set in hair styling. Bettie specializes in coloring, extensions, straightening and hair cuts. She regularly attends courses on the latest hair trends. She believes in growing strong healthy hair without the use of unnecessary chemicals. Kristina is a Massage Therapist licensed by the State Medical Board of Ohio. 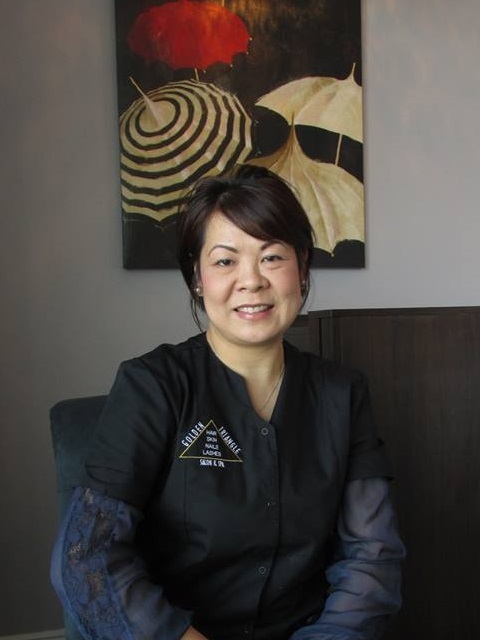 She is trained in Swedish massage, Prenatal Massage, Trigger Point Therapy, and Hot Stone Therapy. Through her clinical experience, she has helped people with conditions such as Anxiety, Osteoarthritis, Carpal Tunnel Syndrome and many more. Her goal is to create a tranquil experience for her clients. 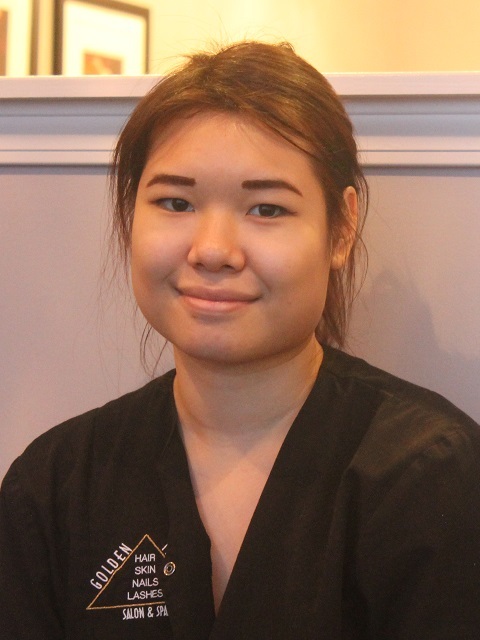 Not only will she aim to reduce stress by providing a relaxing massage, but she will use her knowledge and training to help with any problem areas that a client may have. 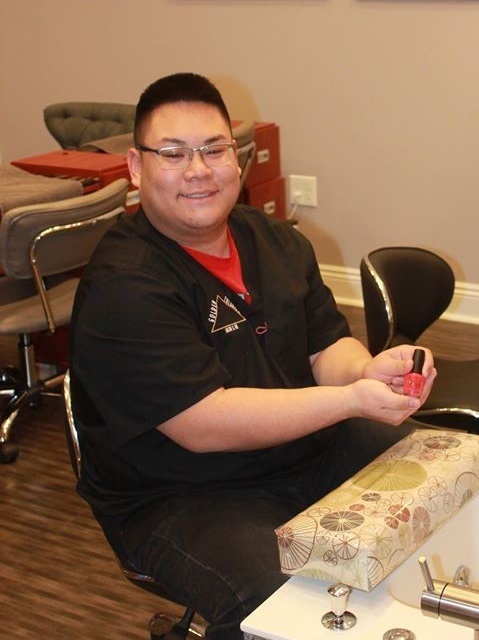 Ben is a licensed manicurist who takes pride in his work and is very meticulous. Give him a call today to schedule an appointment. 2015 © Golden Triangle Salon & Spa. All Rights Reserved.